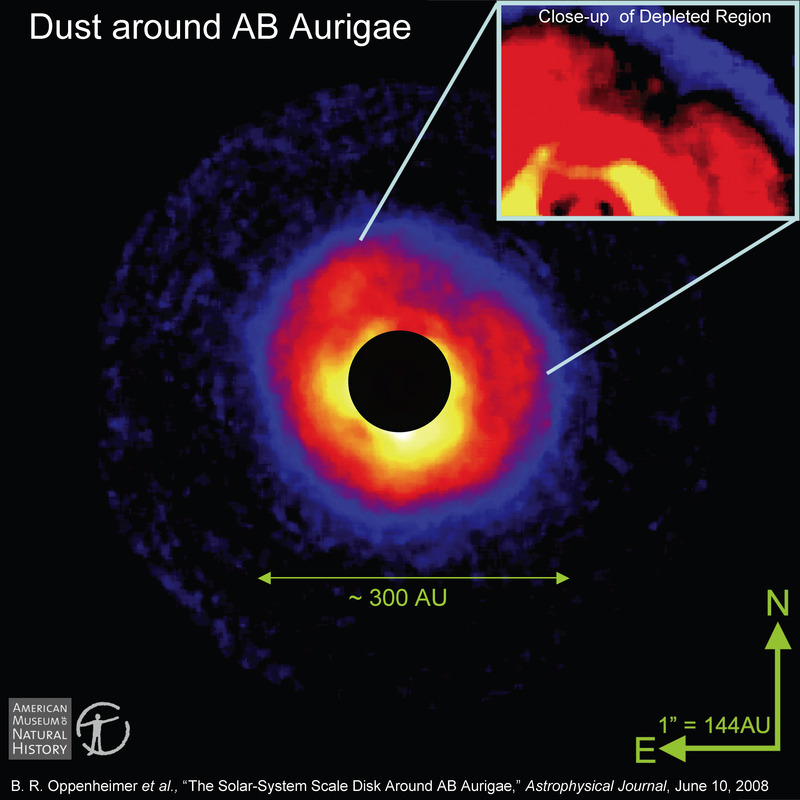 Research paper published on intriguing structure in the disk of dust around the young star AB Aurigae. On March 3-5 2004, the coronagraph was shipped from the American Museum of Natural History in New York to the AEOS telescope in Maui, Hawaii. The whole shipping process went very smoothly: no part of the instrument suffered any damage, and the internal alignment was virtually unaltered. 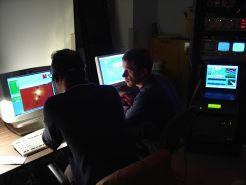 After five days of setup operations - installing the coronagraph at the observatory and integrating it with Kermit, the infrared camera - the system was working and ready for first light. 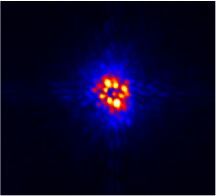 This took place on March 11, with observations of the star 55 Cancri: a 6th magnitude, solar-type star 30 light-years away which has a known planetary system. This planet is about 4 Jupiter masses and so is likely to be too faint for our coronagraph to detect, but stars with known exoplanets are given high priority in our survey as they may well harbor planets or companions within our sensitivity range. Andrew Digby. The flames are purely for aesthetic purposes! 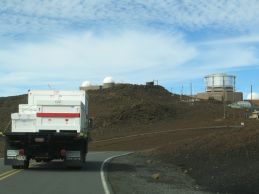 The observing run lasted through to the end of March, but was severely hampered by bad weather: we managed a total of only about 10 hours observing target stars. However, the data that we did obtain were excellent, and demonstrated that the system is working at least as well as we expected it to. 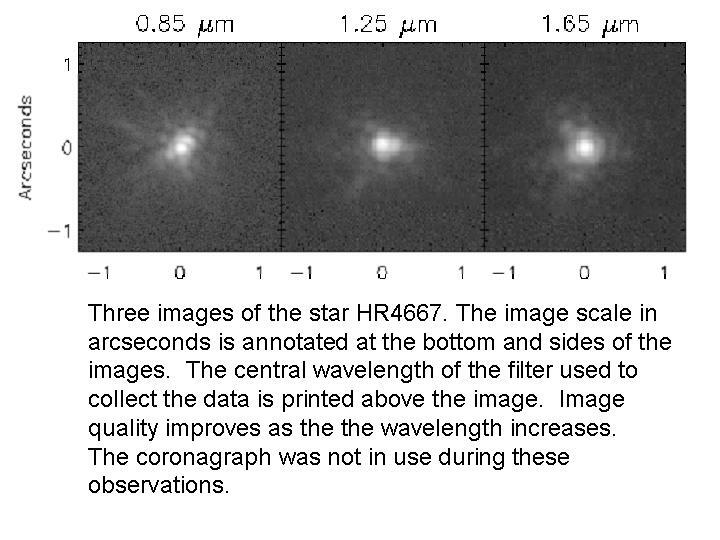 The images we took are likely to be some of the highest quality, highest contrast stellar images ever made. One of the most striking features of the images is the symmetry of the bright spots, or "speckles", which are caused by atmospheric turbulence and tiny imperfections in the telescope optics. A planet may look very similar to a speckle in these images, so this symmetry may provide a a very useful aid in cleaning the speckles from the images and detecting any underlying planets. 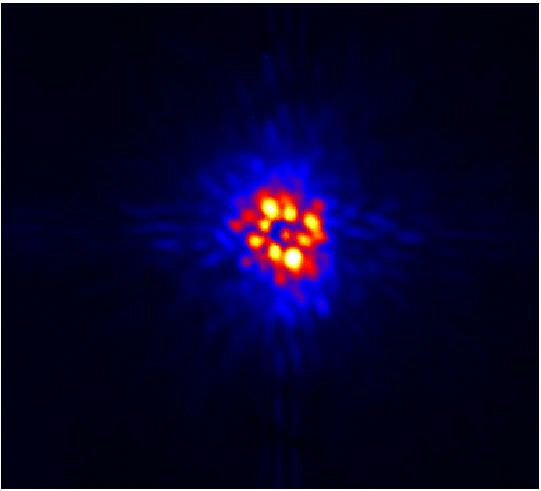 No obvious planets, faint companions or disks were detected in the raw, short-exposure images of the few target stars we observed, but work is underway to combine these images to probe much deeper. 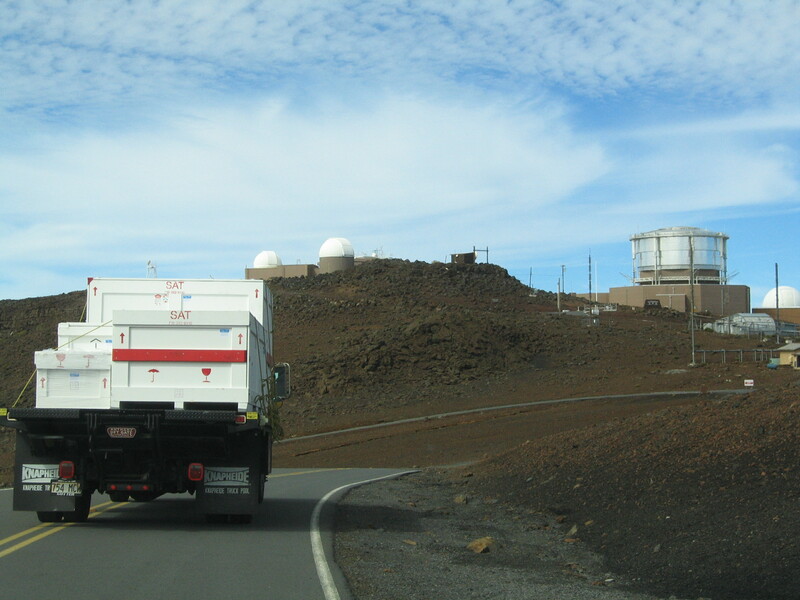 We will return to AEOS at the start of June for a two-week observing run. from atmospheric effects and imperfections in the telescope optics are clear. The Science Bulletins of the American Museum of Natural History has produced a new feature documentary that highlights some aspects of the Lyot Project. The documentary can be seen in the Rose Center's Hall of The Universe every day or it can be seen on the web at astrobulletin.amnh.org. 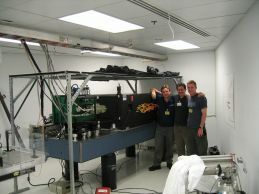 The Kermit Infrared Camera achieved first light at the AEOS telescope in April 2003.